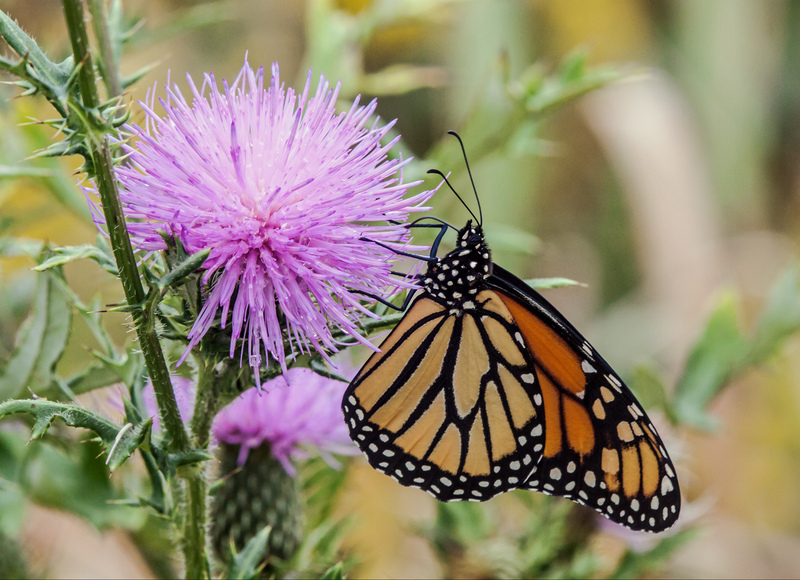 Despite the cooler autumn temperatures, there are still quite a few butterflies fluttering about, like this Monarch butterfly (Danaus plexippus)that I spotted last weekend at Occoquan Bay National Wildlife Refuge. I think that the little flowers are some kind of aster—they seem to be going strong at a time when most other flowers are wilting and turning brown. 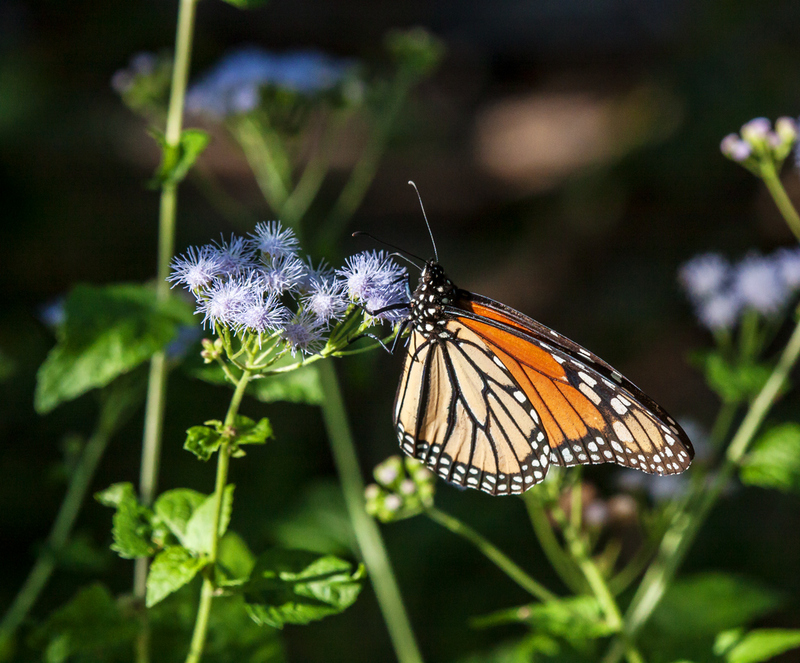 I suspect that all of the Monarch butterflies (Danaus plexippus) will soon be leaving our area for warmer places, so I am really trying to enjoy each and every encounter with one. I spotted this beauty feeding on some kind of thistle plant thispast weekend at Occoquan Bay National Wildlife Refuge. 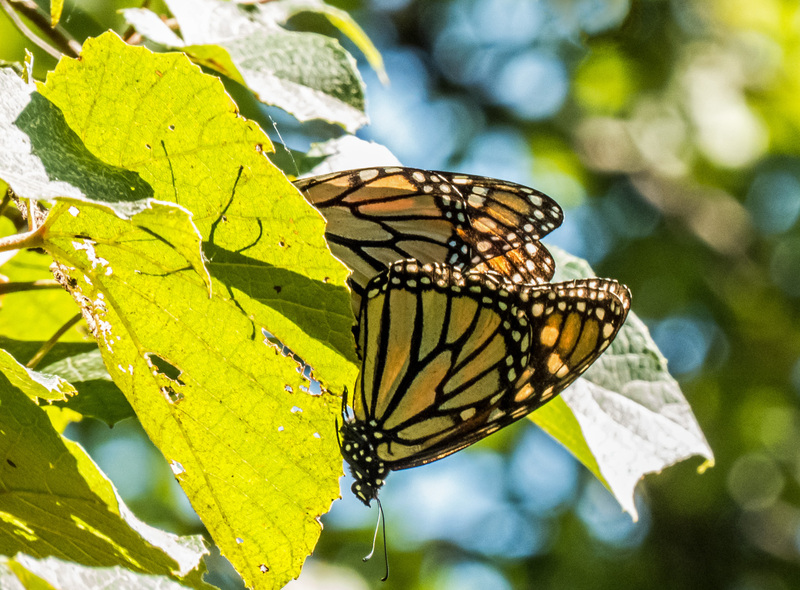 Nestled gently in the leaves of a tall tree, these two Monarch butterflies (Danaus plexippus) were mating, doing their part to perpetuate a species often considered at risk. I captured this image in late August at Occoquan Bay National Wildlife Refuge and re-discovered it yesterday when I was going through my photos from the week before my recent trip to Brussels. I love the way that the upper butterfly is discreetly hidden by the leaves, but is revealed in its shadow. I find the colors in this image to be especially beautiful. with a wonderful contrast between the warmth of the orange and the coolness of the blue. Most of all, though, I love the way that the background turned out, with its soft circles of out-of-focus highlights. This is the kind of image that I strive to capture, one that gently draws in viewers and speaks to them softly, reminding them of the undiscovered beauty that surrounds them all of the time. The incessant rain and cooler weather since my return from Brussels make it feel like it’s already autumn. 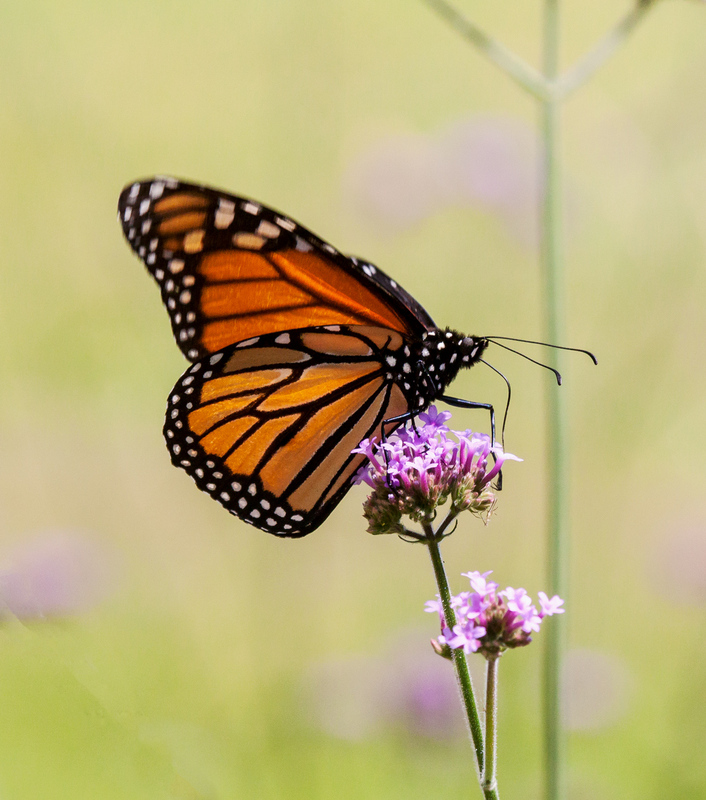 Like this Monarch butterfly (Danaus plexippus) at Occoquan Bay National Wildlife Refuge, however, I am not quite ready to cease sipping the sweet nectar of summer. I captured this image on 31 August, the day before my departure for my recent overseas trip. The combination of rainy weather can jet lag have so far kept me from venturing out with my camera, but I hope to do so this coming week. Whenever I see a patch of milkweed I will usually stop and and watch and wait. Milkweed attracts such a colorful cast of insect characters that it reminds me a little of the Mos Eisley Cantina in the original Star Wars movie. 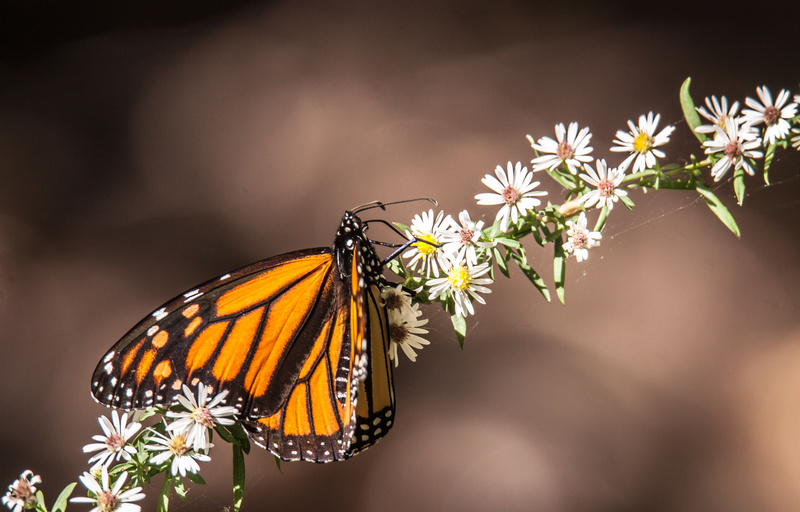 My patience was rewarded this past Saturday at Occoquan Bay National Wildlife Refuge when a Monarch Butterfly (Danaus plexippus) stopped by for a visit and I was able to capture this image. 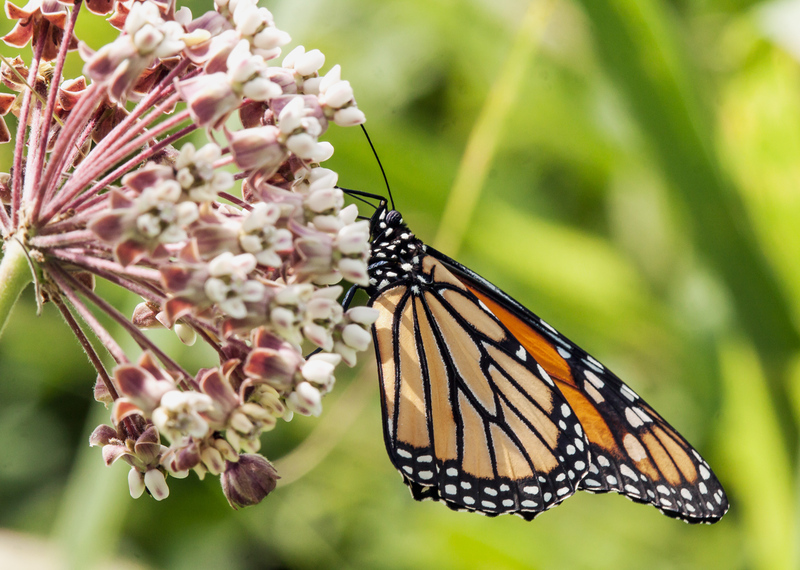 Early Monday morning at Occoquan Bay National Wildlife Refuge I spotted my first Monarch Butterfly (Danaus plexippus) of the spring. It seemed really skittish and flew up into the trees. 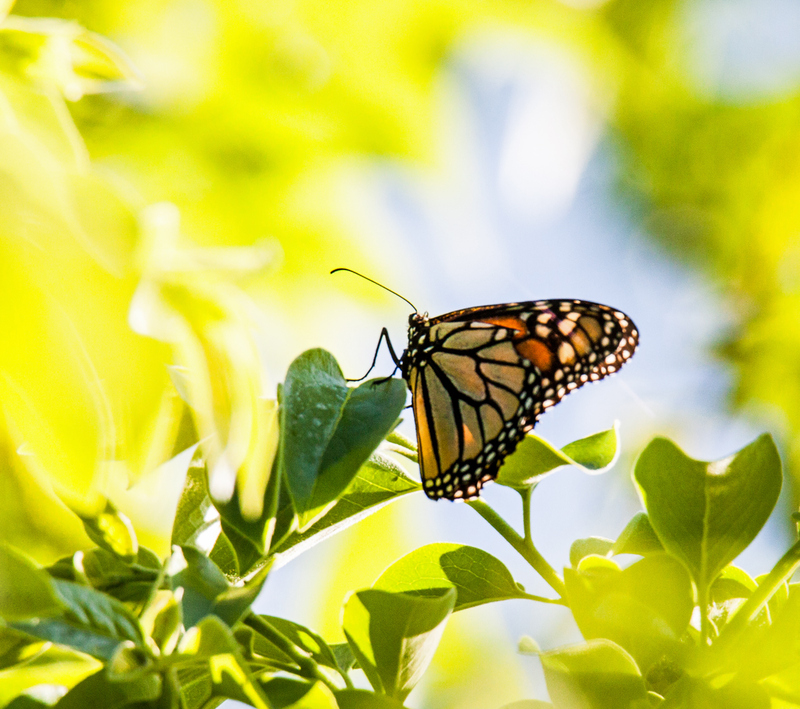 I was happy to be able to capture this image from an unusual angle—it is not often that I photograph a butterfly while aiming my camera in an upwards direction. Some years I see only a few Monarchs and I read quite often about their threatened habitats. I am therefore excigted each time that I am blessed to see one of these beautiful butterflies.